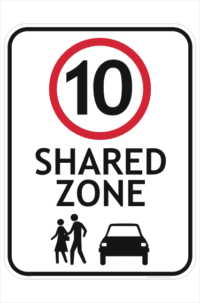 This sign is available in a 300x300mm aluminium just for the Children's road rules playground. see more children crossing signs HERE Standard size is 600mm square and class 1W reflective for roads. . Drivers must be aware of Children in this area. Most of all, the danger of them crossing the road. Furthermore, you should purchase these signs in reflective therefore enabling drivers to see the sign easily in low light. 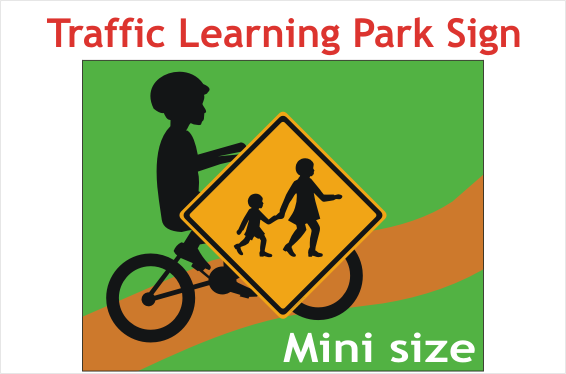 Especially relevent, our 300mm sign is intended only for children’s learning playground.